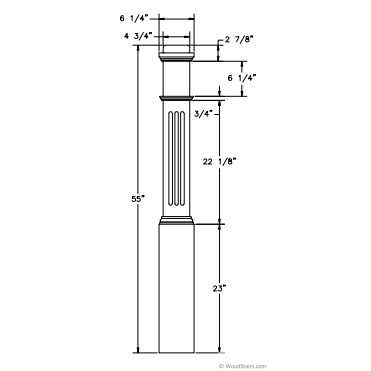 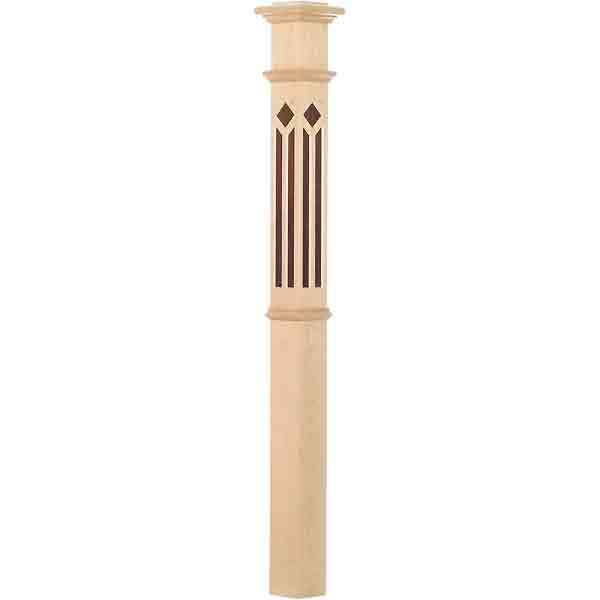 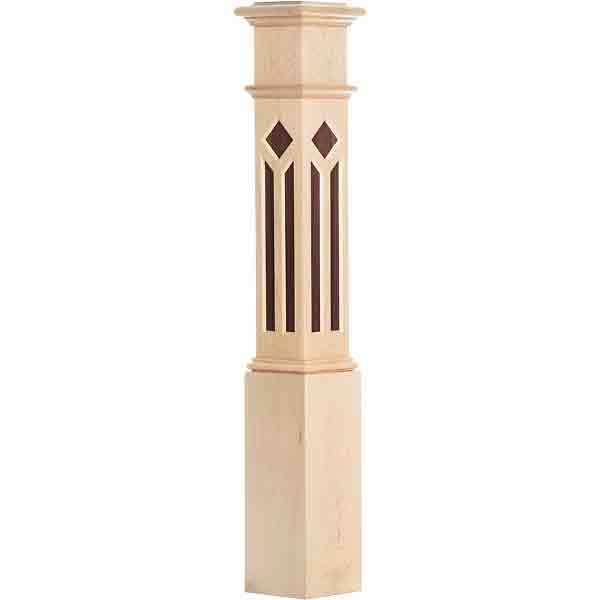 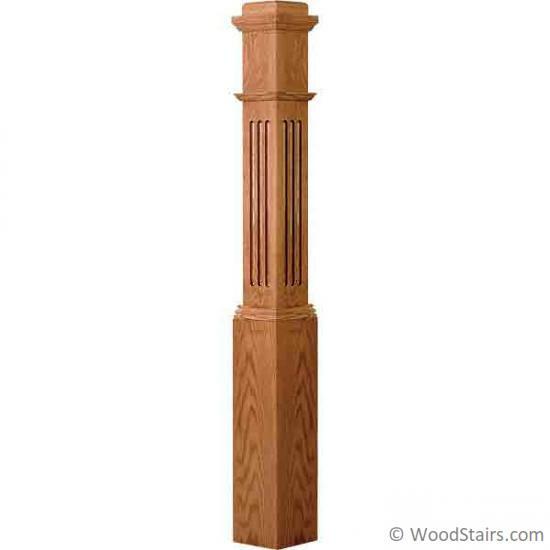 The 4091 Fluted Box Newel is 6 1/4″ x 55″. 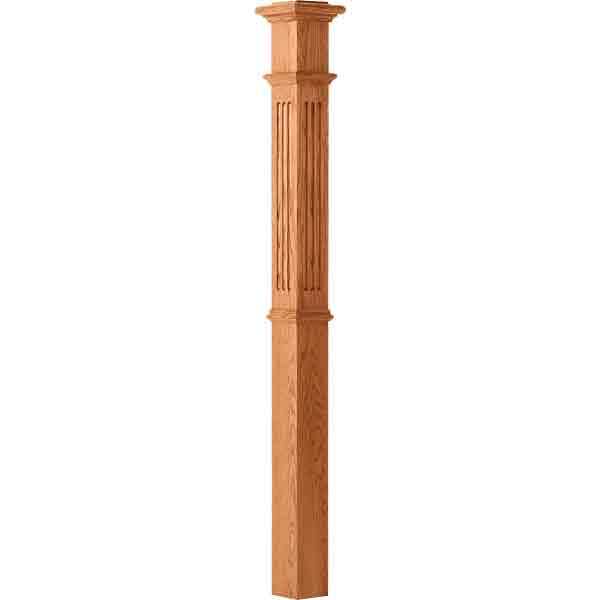 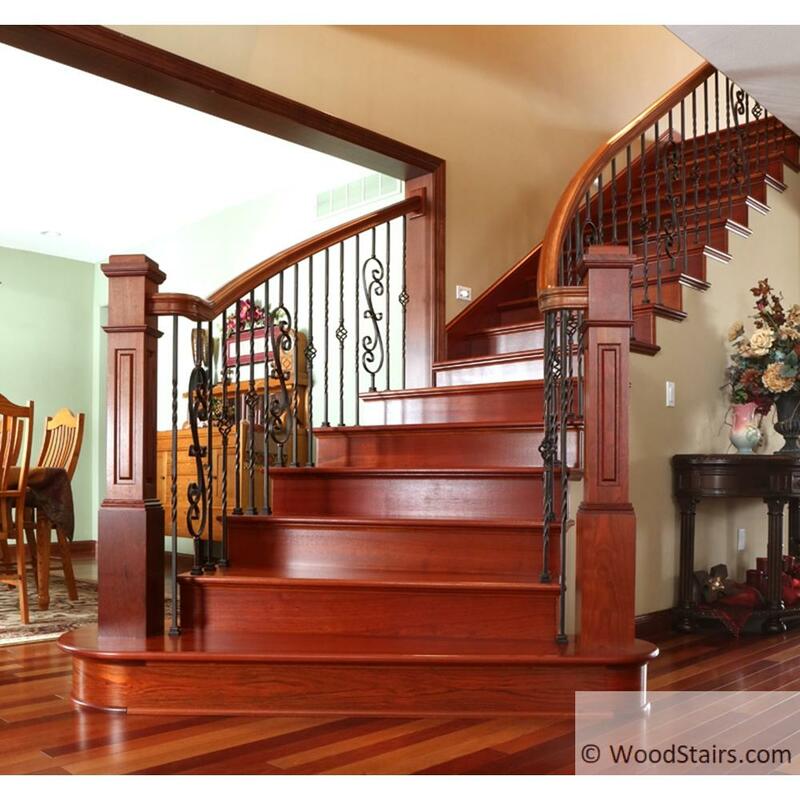 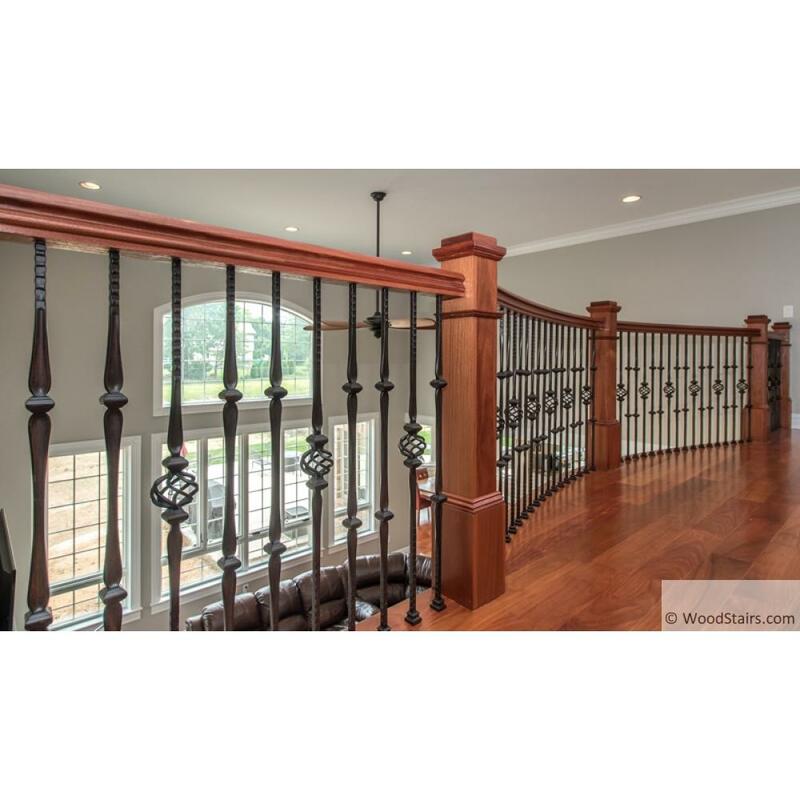 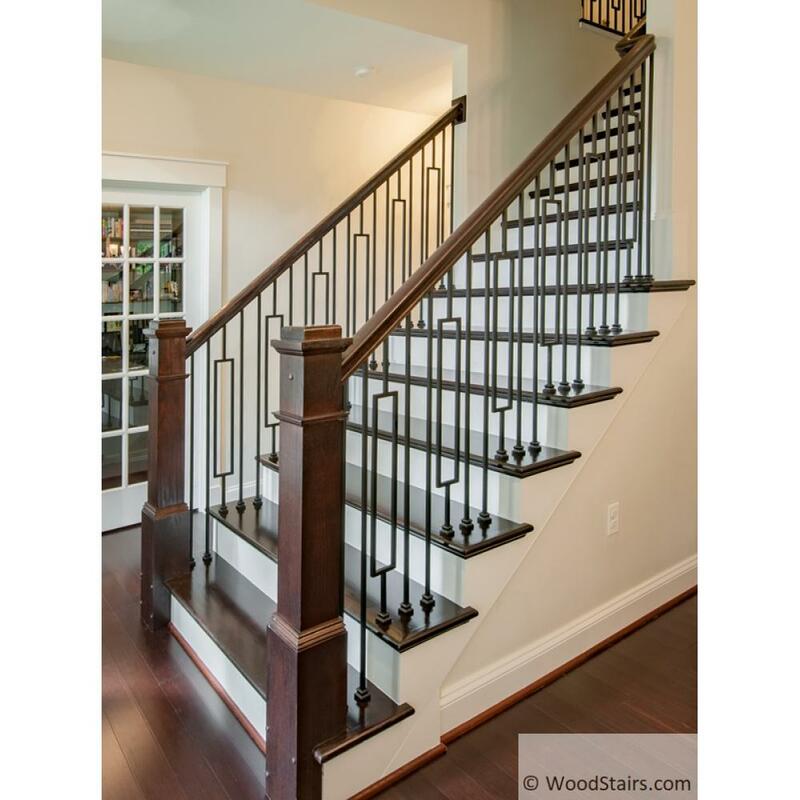 Box newel posts are very versatile; use them with any baluster design, from wood to iron to create a wide variety of styles and designs. 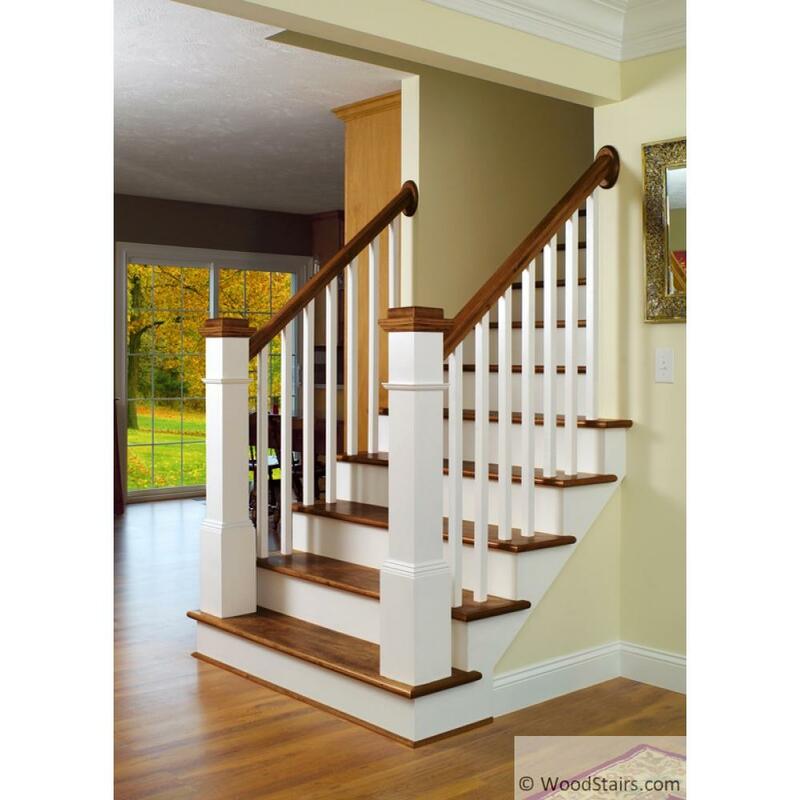 In addition there are a number of accessories to customize your overall look.